Springfield… One of the first legislative actions taken by the Illinois House in the 101st General Assembly was the consideration and adoption of rules that govern the chamber’s proceedings, a power that is granted under Article IV, Section 6(d) of the Illinois Constitution. “This weighty responsibility on all members of the Illinois House requires careful consideration, knowing that 12.8 million Illinois residents deserve a legislative process that is transparent and fair,” said Rep Marron (R-Fithian). Every two years, Speaker Madigan requires two critical votes from Democrat members; first, their vote to re-elect him Speaker of the House, which happened on January 9th, and second, to adopt his proposed set of House Rules, the rules that govern how the House of Representatives operates for the next two years. “We can and must do better than the tired, draconian Rules that have been in place for decades,” Marron said. 1. Require Committee Vote for Bipartisan Bills & Resolutions Pending in Committee – Require that when a bill or resolution in committee has at least five co-sponsors from the majority caucus and at least five co-sponsors from the minority caucus, the Committee Chairperson must provide an opportunity to the bill sponsor to present the bill for consideration and a committee vote. 2. Create Waiting Period for Floor Amendments – Create a longer public review period before consideration of floor amendments and concurrence motions by prohibiting consideration until the calendar day after notice is posted for a hearing or the calendar day after the measure is reported directly to the House from the Rules Committee. 3. Create Waiting Period After Committee Testimony – Require that the initial testimony and discussion of bills in committee must occur before a vote of the committee on the reporting motion; and such committee vote may not occur on the same calendar day that testimony was heard. 4. Require House Vote for Bills & Resolutions Supported by Bipartisan Supermajority – Provide that a motion signed by 71 members guarantees a vote of the House on a bill or resolution. At least five members affiliated with the majority party and five members affiliated with the minority party must be included among the 71 or more signatories. Such bills would be discharged from a standing/special/Rules committee, or transferred from the regular calendar, and placed on an order of business that the House must go to each day that it convenes in regular session; and sponsors of bills on the order would have the right to call their bills for a vote whenever the House is on that order. 5. Extend Time for the House to Consider Motions to Discharge Standing/Special Committee Provide that for six session days after the committee reporting deadline the House may still consider motions to discharge from standing or special committees. Currently, bills remaining in committee on date of the reporting deadline are immediately re-referred to the Rules Committee, which means that the motion to discharge from standing committee, which requires 60 votes for adoption, is no longer an option. 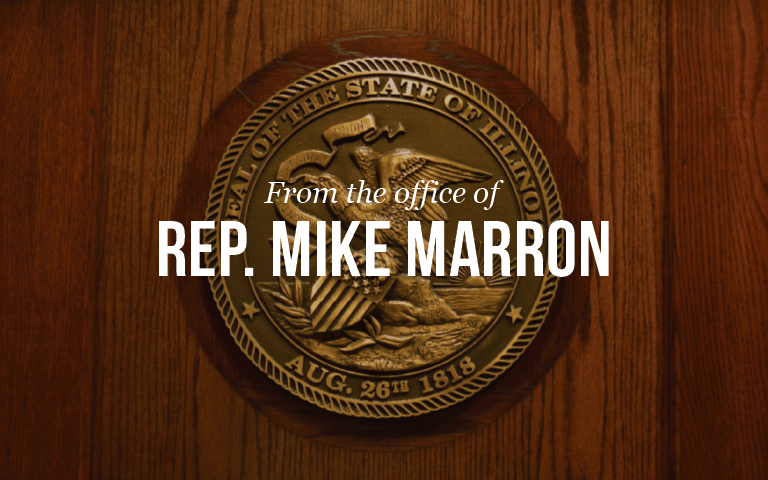 “We need to empower our elected representatives to do their jobs to best serve their district regardless of partisan affiliations,” said Marron.